St. Mark’s Church was part of community life in Northwood for many years, being founded to serve the new estate as it grew after the war. Many people have fond memories of being part of the community, and of significant life events being held in the building, a hidden gem that always had the wow factor when people came in for the first time. Please do share those memories with us in the comments below. 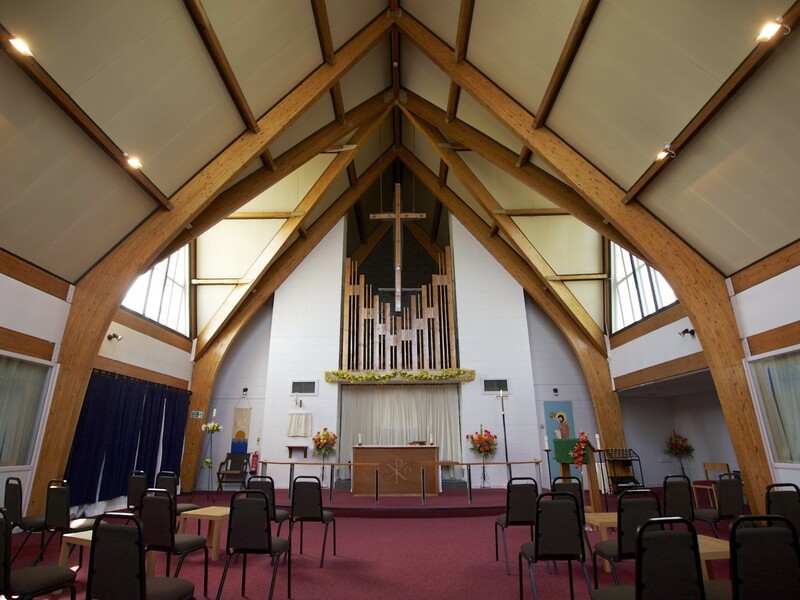 Sadly, after many years of falling numbers, the painful and difficult decision to close the building was taken in 2016, and it was given one final service with the Bishop of Liverpool in attendance to mark the years of service and community life there. 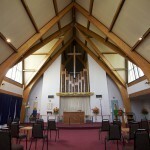 Former members of St. Mark’s and Northwood residents now worship in our other churches, and we provide baptisms, weddings and funerals in any of our other churches, with St. Chad’s being the most popular choice for Northwood families. The Community Shop that the church ran was at the hub of community life in Northwood for years, and many people will remember the unique character of the wit and wisdom exchanged there. The shop itself closed a number of years ago, but has recently seen a ‘reincarnation’ of sorts, in the form of the TANGO / Church in the Centre should that is now open and running on Kennelwood Avenue. Please do call in and grab a bargain. John Mark was a Jew and according to Paul’s letter to the Colossians was cousin to Barnabas. He accompanied Barnabas and Paul on their first missionary journey. Afterwards he went to Cyprus with Barnabas and to Rome with first Paul and then Peter. The Gospel which bears his name is generally regarded as the earliest and was most likely written whilst he was in Rome. Mark’s Gospel has a sharpness and immediacy about it and he does not spare the disciples in noting their weakness and lack of understanding that Jesus the Christ would suffer for the world’s redemption.